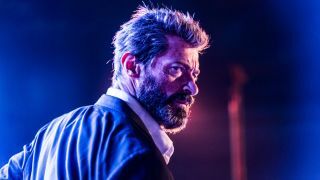 If you’re expecting Cyclops, Wolverine, and company to rock up after Avengers: Endgame (or even at any point in the near-future of the MCU), you’d better hold your horses. That’s because Marvel Studios supremo Kevin Feige has teased that the next five years of new Marvel movies – which we can probably safely call MCU’s Phase 4 at this point – isn’t going to include the X-Men. That means a long, long wait up until (potentially) 2025. In fact, as the Fox/Disney merger has only just been completed, Marvel has been busy cooking up plenty more Phase 4 plans without relying on any of the Fox-owned characters being parachuted in. That makes sense. As much as the fanboys and fangirls inside us want to have a big Avengers vs. X-Men dust-up straight out the gates, it’s no coincidence that Marvel has made billions by having a very careful plan put in place at all times. The next five years or so, starting with Spider-Man: Far From Home, will inevitably deal with the fallout from Avengers: Endgame and, after that, who knows? But it’ll probably have an X-Men flavour to it. As Feige says, “It’s nice that they’re home.” Yes. Yes, it is. As we near the Avengers: Endgame ending, it might be nice to see what other movies are worth watching in 2019, so check them out below! Lord knows we'll need something to fill the void after April 26.